These 120-watt panels can make the difference between waking up to the peaceful sounds of nature or the noisy rumblings of a generator. Which would you prefer? — Photo courtesy Go Power! Convenience, effectiveness and utility are key, and that’s why Go Power!’s Portable Solar Panel Kit is the best thing since sliced bread—even better if you’re a camper who’s tired of having half-full or dead batteries but doesn’t want to commit to rooftop solar panels. Coming in an 80-watt and 120-watt option, this versatile battery charger works for RV, ATV or boat batteries. The portable solar kit allows you to park in the shade while your kit sits in the sun to do all the work. It is perfect for RVers who don’t want to permanently mount solar panels to their roofs or want to supplement their current rooftop system. The battery-charging connectors allow you to quickly interchange the charging accessory to best suit your power needs. Adjustable folding legs maximize solar exposure and allow for compact, easy storage. Each kit has multiple charging connectivity options and comes with a heavy-duty nylon case for protection during moving and storage. 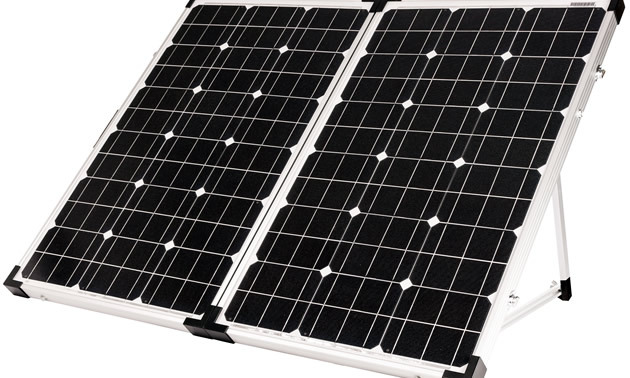 It is also a great supplemental solar kit to complement a pre-existing rooftop set-up. The panels have a warranty of 25 years and three years for the controllers. As for some of the specs, the 120-watt weighs 15 kilograms (33 pounds), and the smaller unit is only nine kilograms (19.8 pounds). The rated current charge of the larger model is 6.7 amps and 4.4 amps for the 80-watt option. Both models have a rated DC voltage of 18 volts. 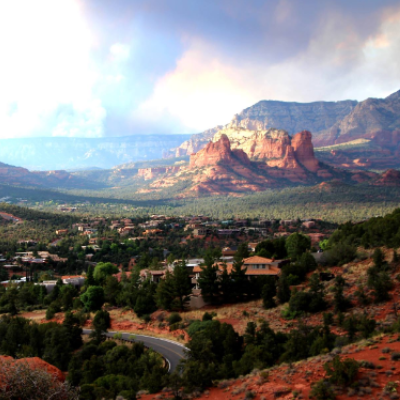 For avid RVer Jim Tanner of Oregon, having a way to stay out in the wilderness and still charge his batteries is key. These solar panels enable him to do that. Camping in Oregon is a particular challenge when it comes to rooftop solars.The area has a lot of trees, which means a lot of shadow for campers in the deeper woods. The Tanner family needed a different solution for recharging their batteries. For more information on portable charging options, visit Go Power!’s website. 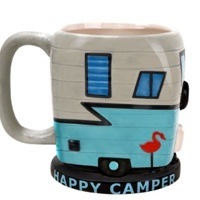 A novelty mug that all RVers will love. An architectural LED lighting system by Eco Innovative Illumination can provide all your lighting needs.